With the 2014 Chase format, we've seen the drivers fired up even more than they normally are at the end of the season. We've clearly seen their aggression and passion in each race. We've seen drivers taking risks and drivers not afraid to battle hard for wins. This Chase format is all about winning and running well consistently to advance. If you don’t win or don’t finish consistently near the top, you’re simply out. In Sunday’s race at Texas Motor Speedway, Brad Keselowski made a dicey move in the final laps of the race. 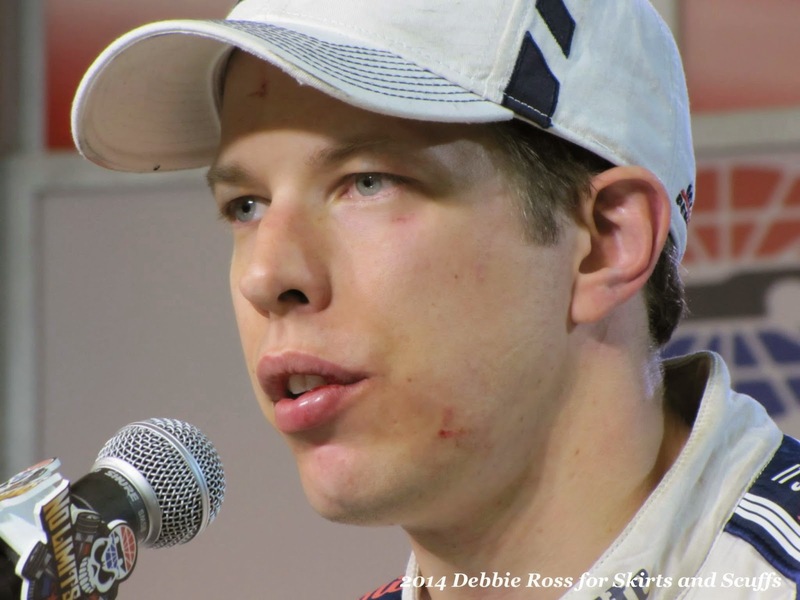 Keselowski saw a hole and dive-bombed, taking the spot. However, while taking that opening, he made contact with the No. 24 of Jeff Gordon, resulting in a cut tire that sent Gordon’s car spinning to a 29th place finish. A huge brawl ensued on pit road between the No. 2 pit crew and the No. 24 crew. In my opinion, no one is wrong in this situation. What we have is hard racing with drivers taking risks to ensure their spots in the final showdown in Homestead. What driver in his right mind wouldn’t make that last-second gutsy move to possibly win the race? You also can’t fault Gordon for his anger. It shows just how much this new Chase format has all the drivers, even a four-time champion, feeling the pressure. This type of hard-nosed racing is what the fans have wanted to see. Drivers are no longer saying the dreaded “good points day for us” anymore. Instead, fans are seeing their drivers battle hard to contend for wins. Even drivers that won’t advance are still battling hard for wins. Look at Dale Earnhardt Jr. at Martinsville. He didn't have a Chase berth on the line, but he raced hard the whole day to get the win. Look at Jimmie Johnson who battled at Texas Sunday and won despite having already been eliminated. There’s been a new feeling in the garage this season. The desire to win. Sure, drivers always want to win, but this Chase format has heightened that desire like never before. And I like it.